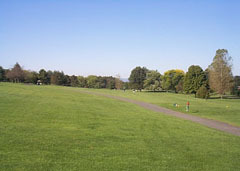 Straight away par 4. Lots of room here and it can be an easy hole. It takes a big hook or a big slice to get into trouble in the trees. 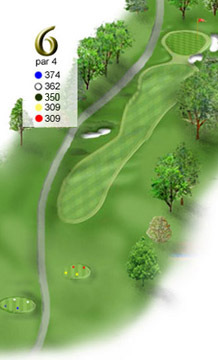 However too far right and the trees by the green could hinder a shot to the pin if it's tucked to the right. The fairway bunker on the left will catch that average tee shot if you pull the ball.